Courtesy call on by the Parliamentary delegation of the Federal Republic of Germany head by Mr. Tobias Pfluger to Minister for Foreign Affairs Hon. Pradeep Kumar Gyawali. 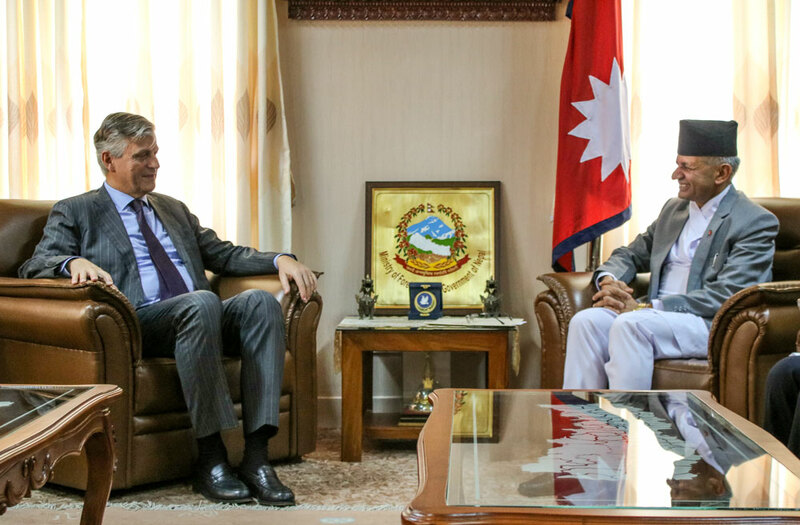 Courtesy call on Honorable Pradeep Kumar Gyawali, Minister for Foreign Affairs by HE Mr. Klas Molin, Non-Resident Ambassador of Sweden to Nepal. Courtesy call on Honorable Pradeep Kumar Gyawali, Minister for Foreign Affairs by Her Excellency Ms. Hou Yanqi, Ambassador of the People's Republic of China to Nepal. Courtesy call on Hon. Pradeep Kumar Gyawali, Minister for Foreign Affairs by HE Kim Yong Hak, Ambassador of Democratic People's Republic of Korea (DPRK) to Nepal. Courtesy call on Hon. 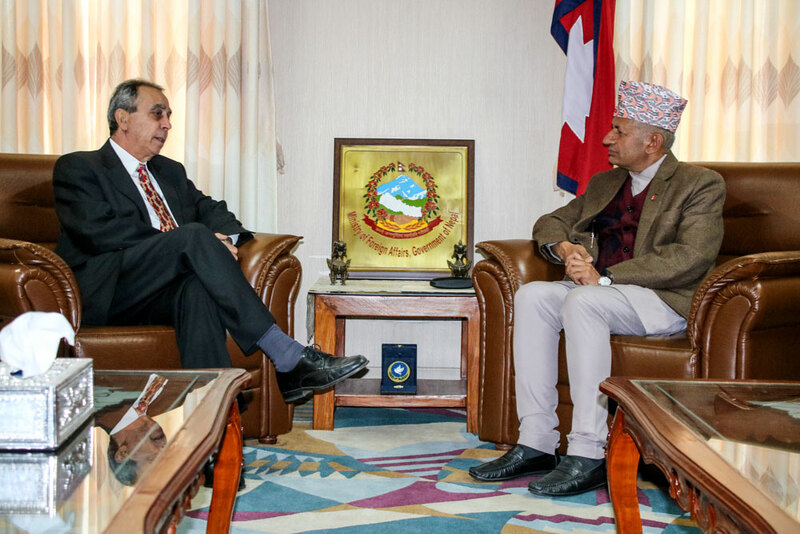 Pradeep Kumar Gyawali, Minister for Foreign Affairs by HE Mr. Augusto Montiel, Non-Resident Ambassador of Bolivarian Republic of Venezuela to Nepal. Courtesy call on Hon. 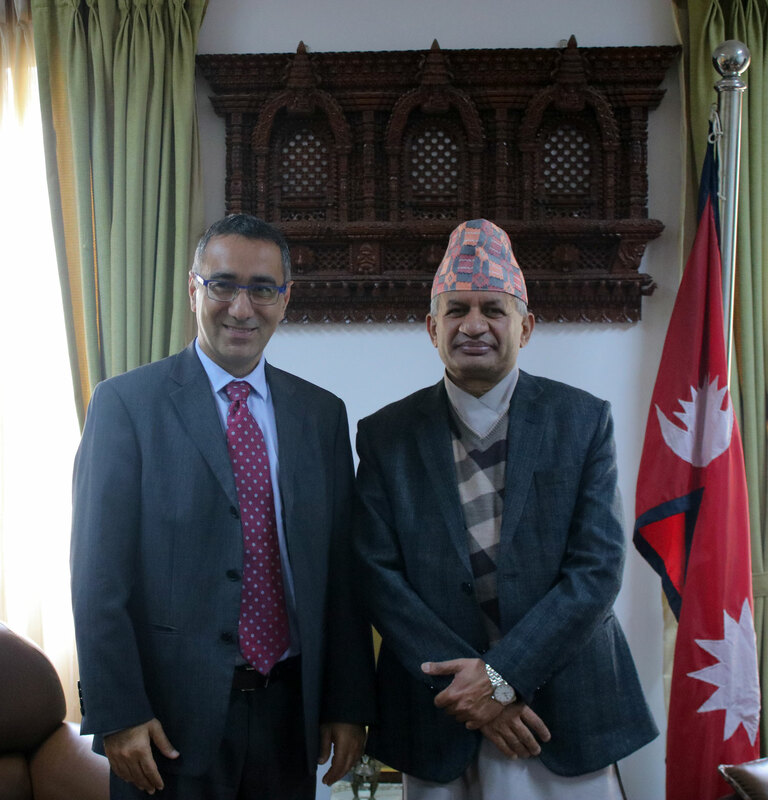 Pradeep Kumar Gyawali, Minister for Foreign Affairs by HE Mr. Nejmeddine Lakhal, Non-Resident Ambassador of Republic of Tunisia to Nepal. Courtesy call on Hon. Pradeep Kumar Gyawali, Minister for Foreign Affairs by HE Mr. Masamichi Saigo, Ambassador of Japan to Nepal. Farewell call on Hon. 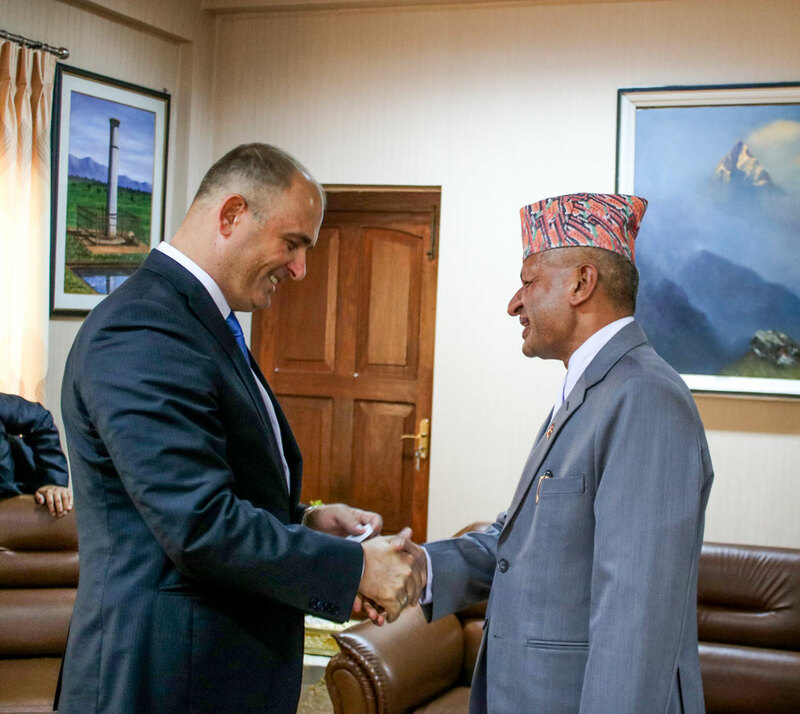 Pradeep Kumar Gyawali, Minister for Foreign Affairs by HE Dr. Sabit Subasic, Non-Resident Ambassador of Bosnia and Herzegovina to Nepal. Call on by HE Mr. Jean-Pierre Lacroix, Under Secretary General of Department of Peace Keeping Operations of the UN. 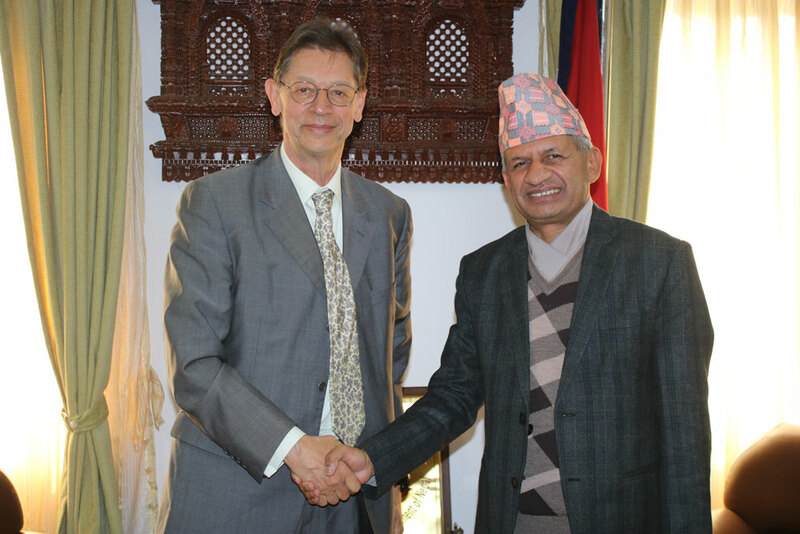 Courtesy call on by HE Mr. Peter Taksoe-Jensen, Non-Resident Ambassador of Denmark to Nepal. Call on by H.E. Mr. Gilad Cohen, Deputy Director General for Asia & Pacific Division, MFA, Israel. Courtesy call on by H.E. 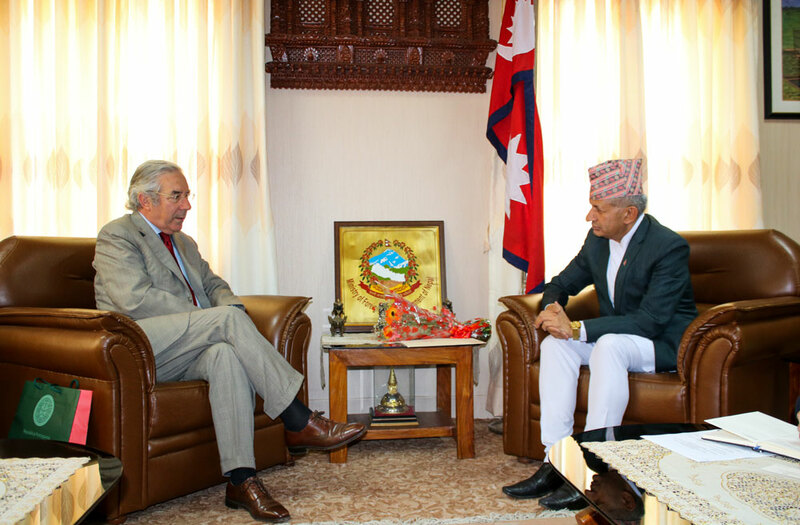 Mr. Yves Carmona, French Ambassador to Nepal. Courtesy call on by Mr. Saeed Hamdan Al-Naqbi, Ambassador of the UAE to Nepal. 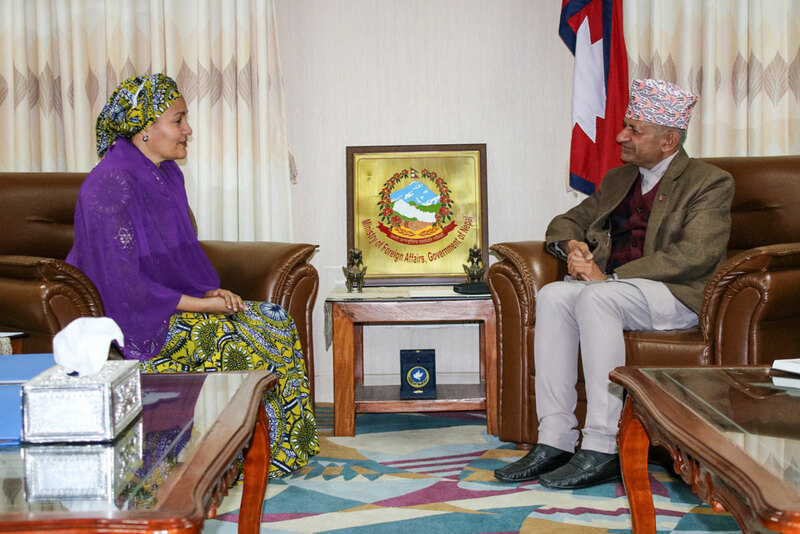 Courtesy call on by Mrs. Mostafa Abdou Ahmed, Ambassador of Arab Republic of Egypt to Nepal. Courtesy call on by Ms. Valeria Julliand, UN Resident Coordinator in Nepal. Courtesy call on by H.E. Ms. Mashfee Binte Shams, Ambassador of Bangladesh to Nepal. Courtesy call on by HE Mr. Mazhar Javed, Ambassador of the Islamic Republic of Pakistan to Nepal. 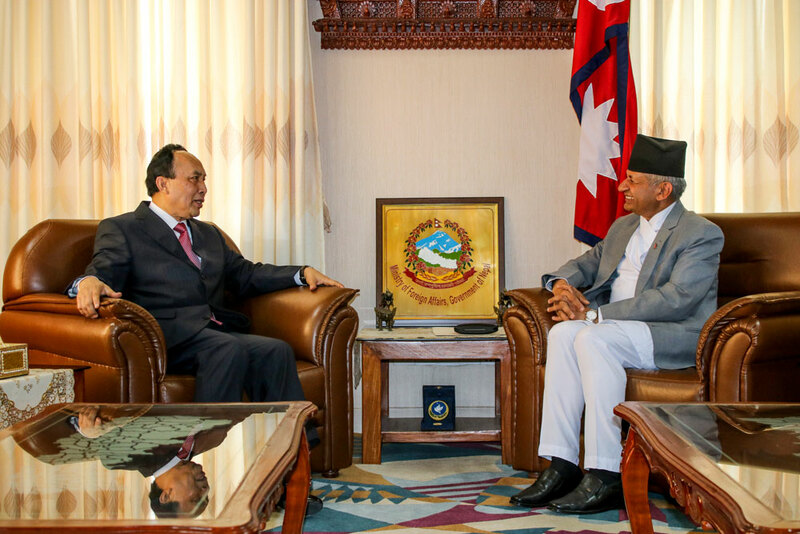 Courtesy call on by HE Mr. Yousuf Bin Mohmmed Al-Hail, Ambassador of the State of Qatar to Nepal. Courtesy call on by H.E. 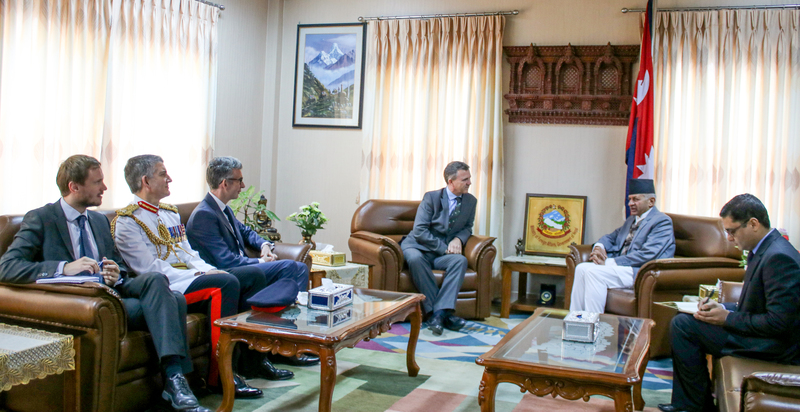 Mr. Peter Budd, Ambassador of Australia to Nepal. Farewell Call on by His Excellency Mr. Abdelnaser bin Husien Al-Harthi, Ambassador of Kingdom of Saudi Arabia to Nepal. 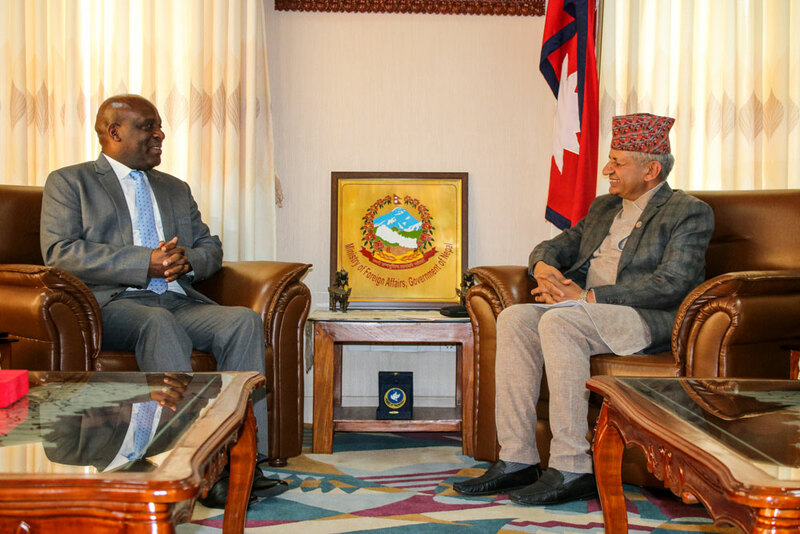 Courtesy call on by HE Ms. W. S. Perera, Ambassador of Sri Lanka to Nepal. Courtesy call on by HE Mr. Nadir Patel, Non-Resident Ambassador of Canada to Nepal based on New Delhi.